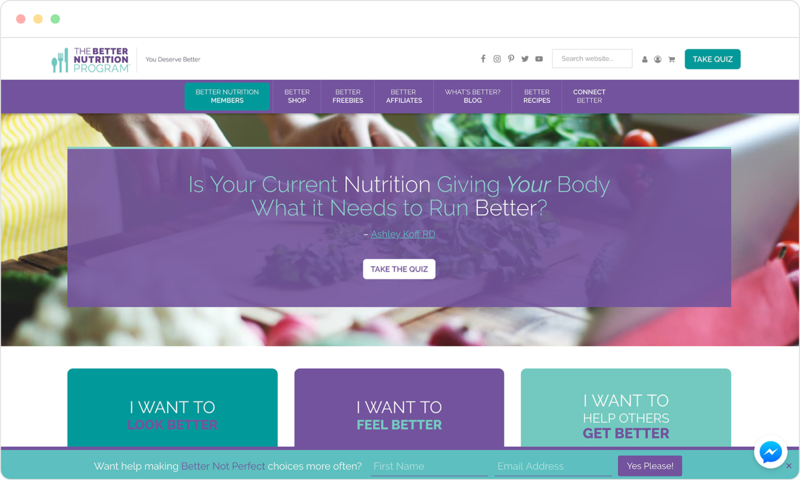 Membership site build for well-known nutritionist Ashley Koff RD. This design needed to be based on a previous version of the site, but be cleaner and faster. I accomplished this with a custom child theme on the Genesis Framework. "Stephanie - I could not be more pleased with the tech support you gave me in creating a web site for a new business. Working with you is like having a skilled tech team sitting next to me even though you were coaching from Europe and I am working in New York City. The speed of response, clarity of guidance, and warmth of all exchanges gives new meaning to the term "user friendly". I can not imagine any better service and will always use you or refer you to friends looking for services like yours."